I will place information on arrangements as they are received. You can also subscribe to the newsletter on the front page of the site if you wish. If you have any remembrances of David, please place them here. 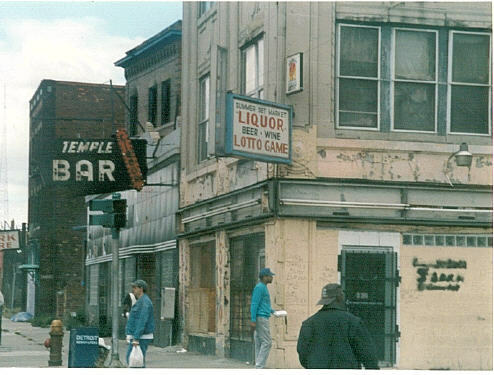 Here is a photo of the corridor I took in September of 1999 at Cass and Temple where I lived for a year in 84 in the American Hotel. Another Tribe altogether. Fortune Records - It's right on Third street around Selden- All I remember is that it was an early Soul or maybe 50's doo wop label and in the 70's or maybe 80's somebody got in there and found a zillion mint condition records and with the heirs tried to start something up. It was intact when I left in 89 but then again so was a lot of stuff. Note: An article in the Detroit News appeared on this subject.